The SaniSteamª wall mop is ideal for all types of wall and smaller surfaces. 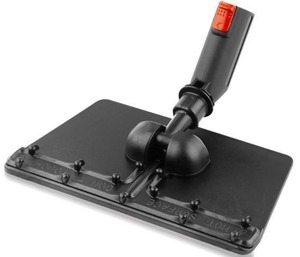 Designed with a compact cleaning area (10" x 5.5") it's unique 1/8" thickness enables it to reach temperatures as high as 266¼F (130¼C) ensuring a clean and sanitized surface. NOTE: The microfiber pad for the floor mop is sold separately.